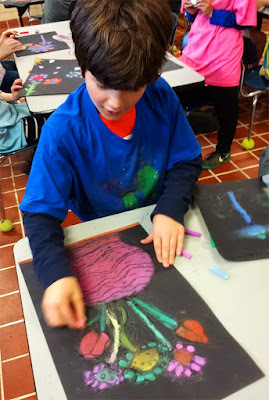 I did this lesson as a good excuse to give the 4th graders some more experience with the unique "blendability" of soft pastels. 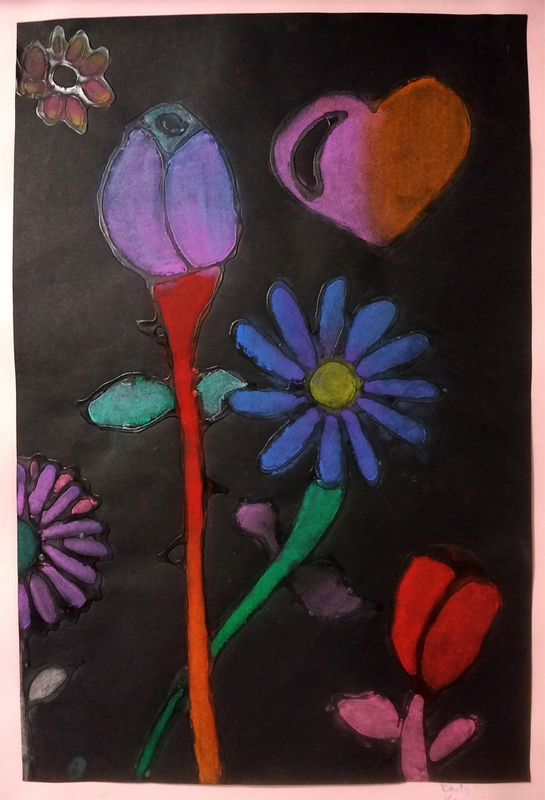 Since that was the main goal of the project, and because this time we also used white glue to outline our drawings, I encouraged the students to keep their flower shapes big and simple. The results are some really beautiful pastel works, a dozen of which are now temporarily gracing the Orange County Schools boardroom downtown. I've created this site to provide parents the most up-to-date information about art instruction at Hillsborough Elementary School. The home page will be updated throughout the year with images of student art (and students creating it!). On other pages, you'll find information about how we manage our classroom ("Art Room Nuts and Bolts"), links to local museums and art making websites ("Art Links"), and a current wish list of supplies for the classroom. As always, if you ever need more information, please feel free to grab me when you can or contact via phone or email. I journeyed to education from a business and landscape architecture background. Prior to moving to Hillsborough in 2001, I worked as a project manager and designer for a Seattle-area landscape architecture firm specializing in public park design. When my second child was born, I resigned that position to be a stay-at-home father and a part-time photographer. I began my teaching experience at Hillsborough Elementary School as a Reading Recovery tutor in 2003, when my son and daughter had just become Dolphins themselves. After deciding to pursue my teaching certification, I spent a year as the 5th grade teaching assistant at Pathways Elementary and then came to HES to fill the same position. Over several years I worked as an assistant in the 2nd and 4th grades as well. 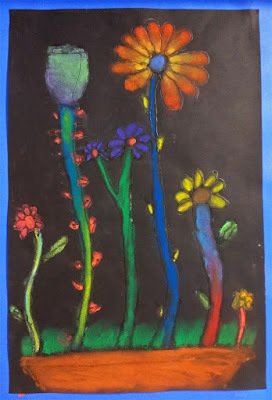 The school's Art Teacher position became available near the end of 2010, and since then I've felt very fortunate to be teaching a subject I love at a school that feels like home! When I'm not teaching, I write realistic fiction for children aged 9 to 13 (www.michaeloechsle.com) and photograph old abandoned places all over the country (www.ghostroadimages.com).